France’s parliament signed into law a controversial asylum and immigration bill on Wednesday (1 August), despite opposition on the left which decried an effort to limit arrivals while the far right saw the measure as not going far enough. The Senate had rejected the bill on Tuesday (31 July), but the lower house passed the text as President Emmanuel Macron’s La Republique En Marche party holds a large majority, even if the law has exposed divisions within his own camp. 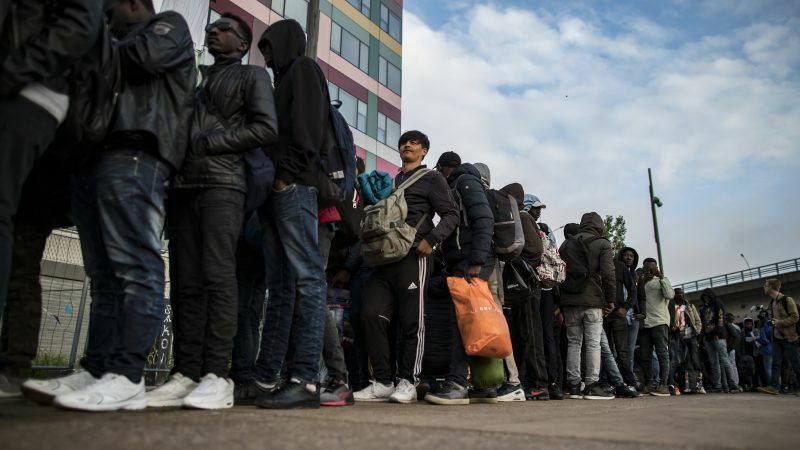 “We are giving ourselves the means of preserving a right to asylum which, had nothing been done, could rapidly have been called into question as one fears may happen in a number of European countries,” Interior Minister Gerard Collomb told parliament. But the extent of the doubts harboured by some lawmakers had already been laid bare by one member of Macron’s party – former Socialist Party MP Jean-Michel Clement – who left the party after voting against the text on an earlier reading for the first time in the assembly since the president’s election 15 months ago. The government insists the law, as Europe struggles to find common ground on how to deal with the ongoing migration crisis, will allow “controlled immigration, an effective right to asylum and successful integration” of those accepted. Some lawmakers on the left lamented what they saw as a move to limit the scope of asylum cases and decried the law’s doubling of maximum detention from 45 days to 90, concerned at the possibility of “children behind bars” for up to three months. By contrast, some on the right slammed the text as “lax” and a “little law” which they feared would ultimately see more migrants obtain legal status in France. With the migration crisis leading to deep splits across Europe, despite arrivals falling sharply since the summer of 2015, France and Italy in June urged the European Union to set up asylum processing centres in Africa to prevent “voyages of death” across the Mediterranean. The EU’s current asylum rules put the migrant burden on their port of entry to Europe, with Italy and Greece most seriously affected, although arrivals have also been on the increase in Spain in recent months.